What else do you think you/we could do (or do differently) to have a positive impact and help restore a healthy balance in our world? By submitting your comments you agree to them being used in publicity and other materials that Olga Sheean may produce in the interests of reducing the harm caused by EMR. Your email address will never be shared without your express written permission. 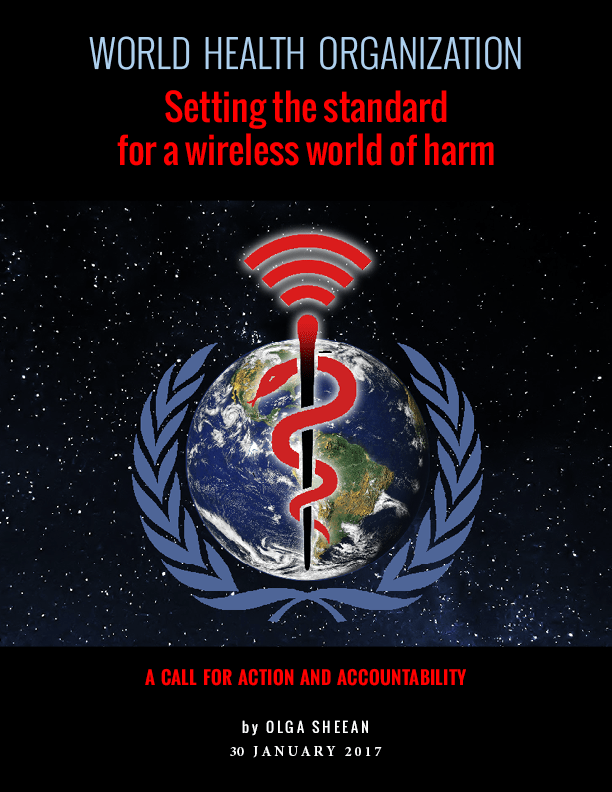 Now available: World Health Organization: Setting the standard for a wireless world of harm.